A while ago a lovely customer in Canada asked if I could print the Dutch Houses for her in a larger size than a fat quarter, as she wanted to frame it and hang it on the wall. Of course I was happy to do that, and last week she sent me this photo. Doesn’t it look great? This entry was posted in Dutch Houses, Stamping and tagged dutch houses, handprinted fabric on March 4, 2014 by bluejacarandadesign. I have just sent out the June Newsletter. 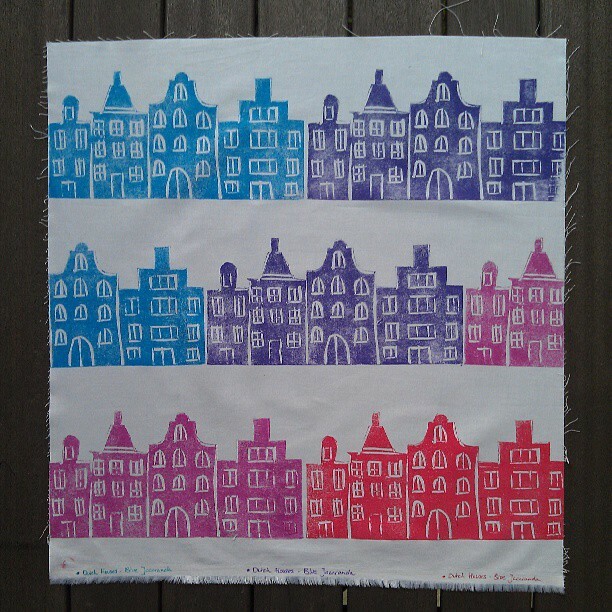 Read it here to find out how you can win this fat quarter of handstamped Dutch Houses fabric! 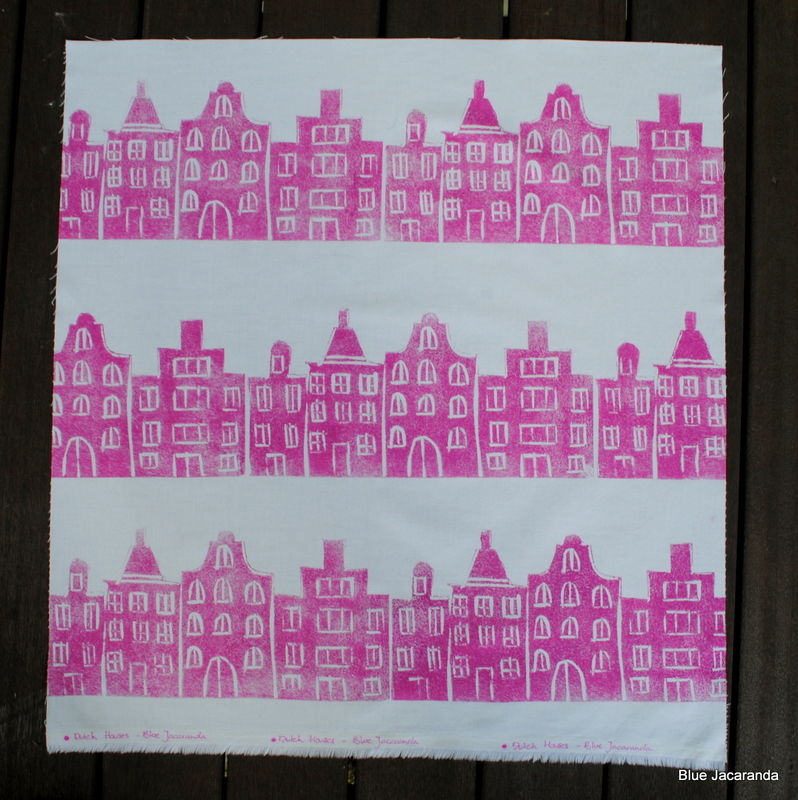 This entry was posted in Dutch Houses, Handprinted Fabric, Stamping and tagged dutch houses, handprinted fabric, newsletter on June 14, 2013 by bluejacarandadesign. I’ve added them to my Etsy shop . 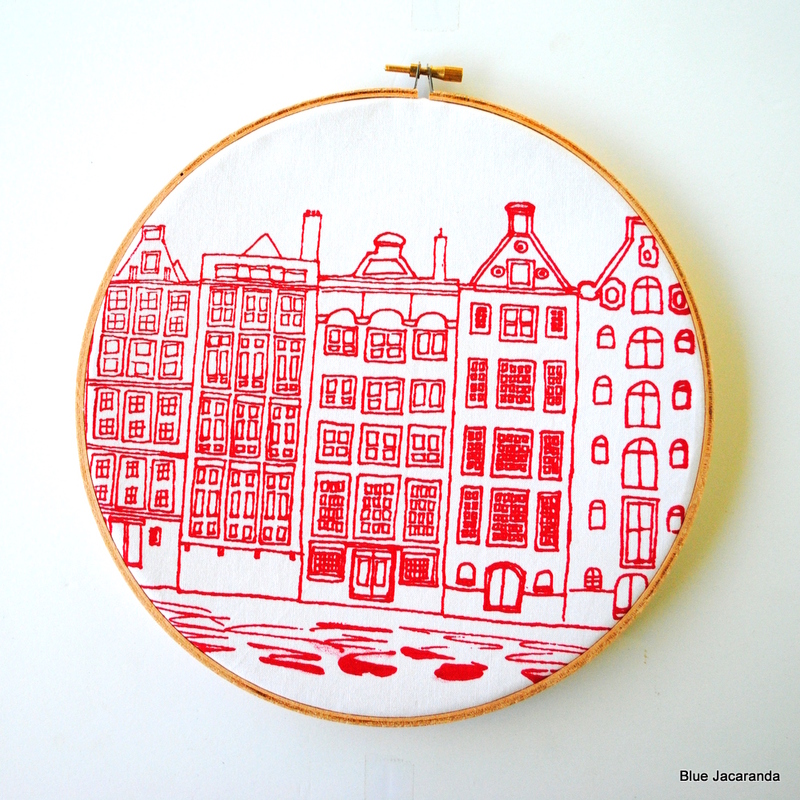 This entry was posted in Dutch Houses, Handprinted Fabric, Stamping and tagged dutch houses, handprinted fabric on June 7, 2013 by bluejacarandadesign. A while ago I participated in a handprinted fabric swap organised by Leslie Keating. 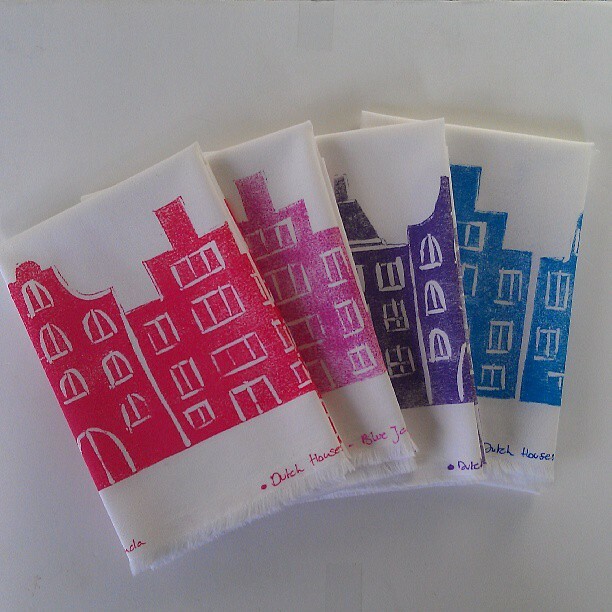 I made a Dutch Houses stamp to print my fabrics – you can read about the process here on my textile blog. I enjoyed the process very much and the comments about the fabric were very positive, so I decided to make some more and add it to my Etsy shop. Yesterday I printed three fat quarters – black, gold and copper on organic white cotton. You can find them here. They would be great to use in homewares, bags, quilts… If you would like to have this design printed in a certain colour combination send me a message and I do my best. 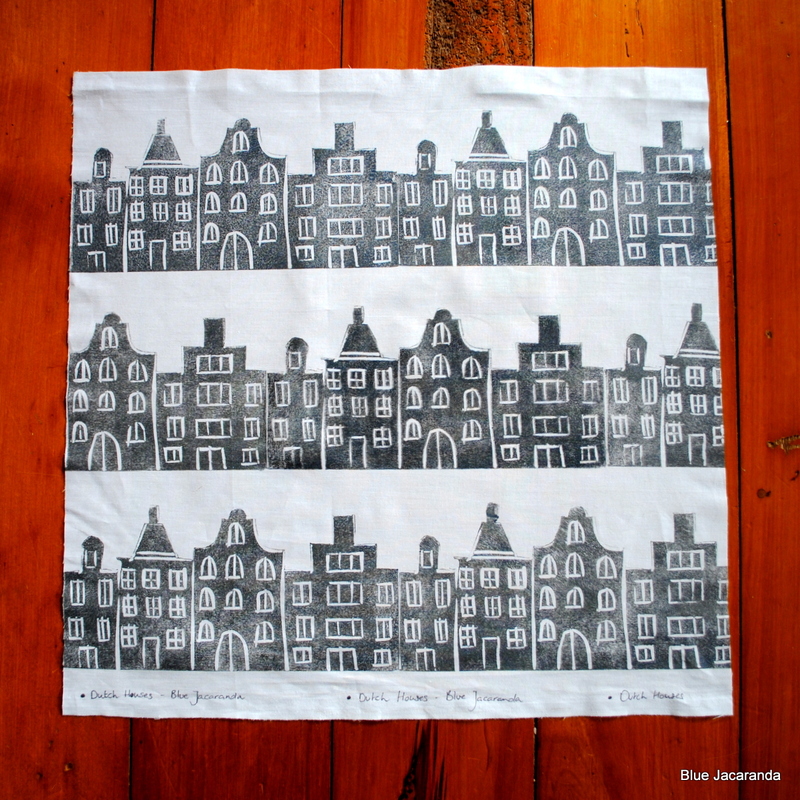 This entry was posted in Dutch Houses, Handprinted Fabric, Stamping and tagged dutch houses, handprinted fabric on April 27, 2013 by bluejacarandadesign. Almost a year ago I made my first burlap item – a Beach Pillow for our caravan at the beach. I loved the material so much that I have been making a lot of burlap items ever since; they have become an important part of my shop. 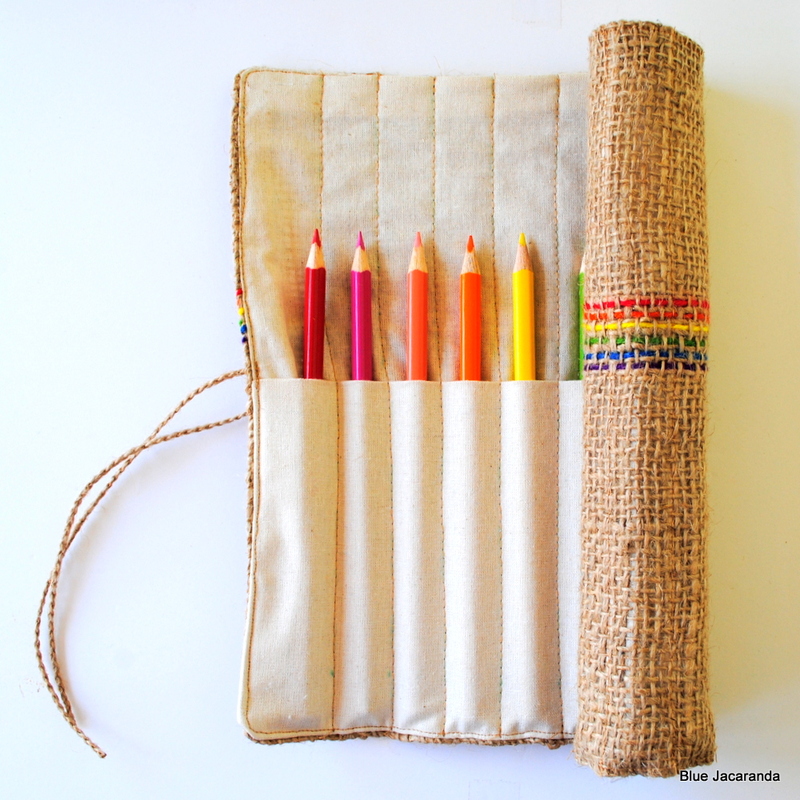 The most popular burlap item (and the best-selling item in the shop) is this pencil roll. It was on Etsy’s front page twice and it was also featured on the Illustration Friday blog. Very exciting! 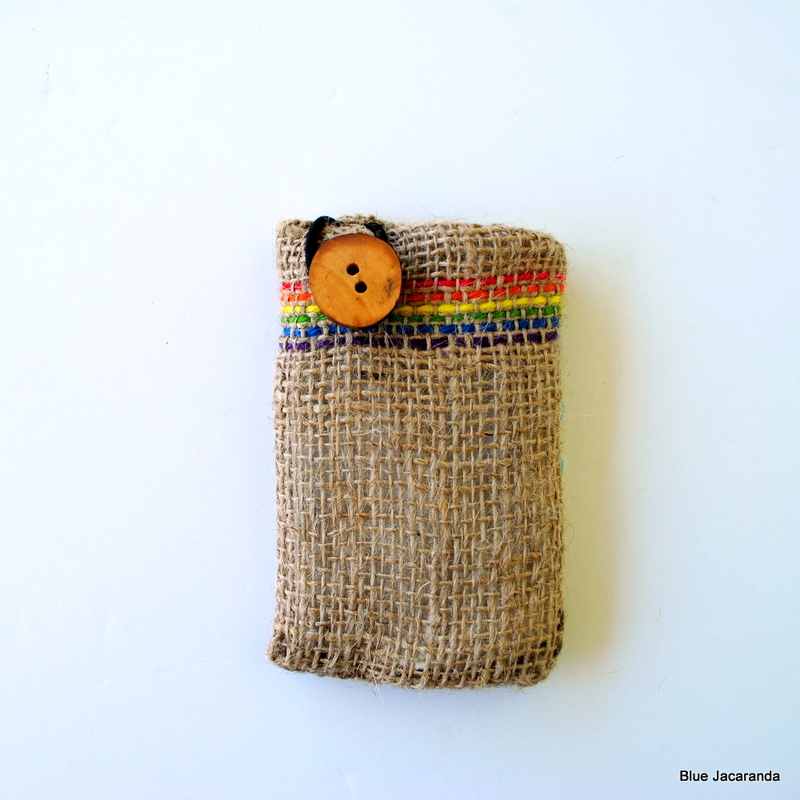 This entry was posted in Upcycling and tagged burlap, dutch houses, pencil roll on October 5, 2012 by bluejacarandadesign. Welcome to the new Blue Jacaranda blog! I started Blue Jacaranda in July 2010 – initially as a hobby, but after I lost my job, in June 2012, it has become a full-time enterprise. Share my ups and downs on the way to success here! 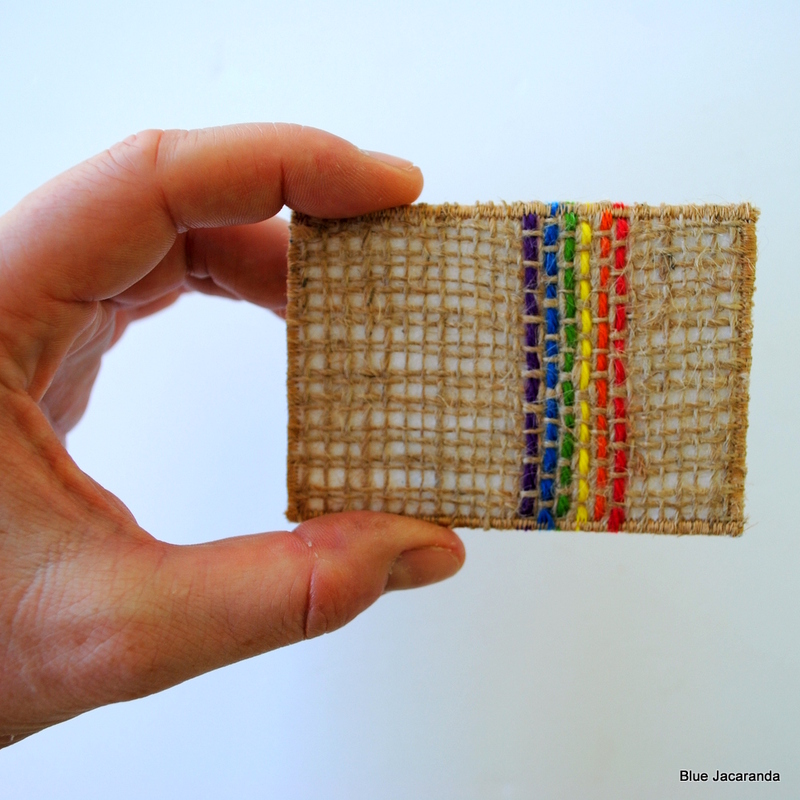 Blue Jacaranda – handmade in Australia, with a Dutch accent! 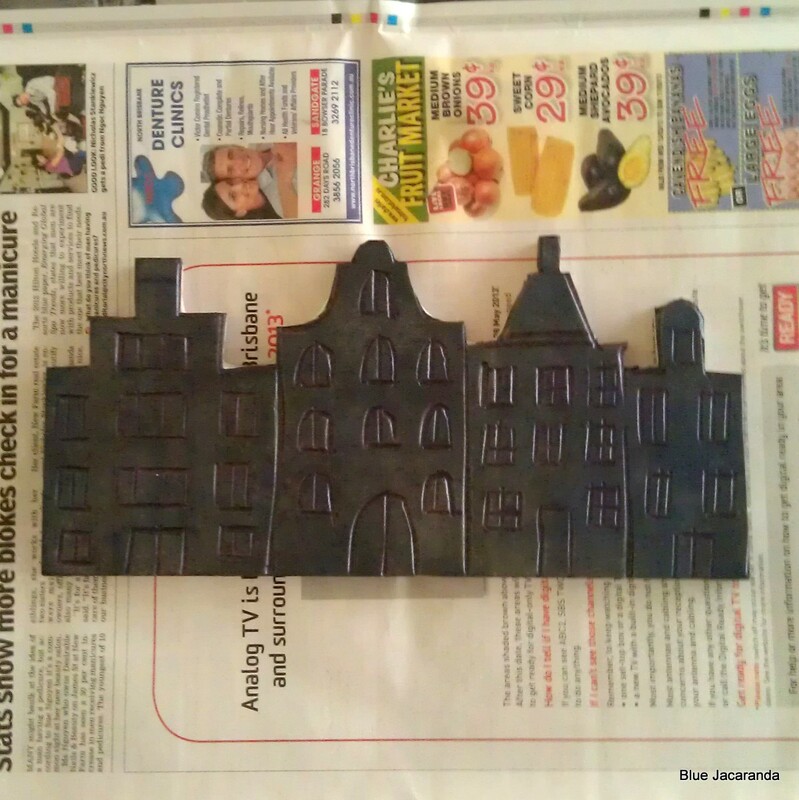 This entry was posted in Screen printing and tagged dutch houses on October 5, 2012 by bluejacarandadesign.